Move in Ready!! If your a Parent, Single, Student, Staff Member, Investor, First time home buyer, Family or just looking to downsize this is the property for you! Excellent Property for anyone attending UCF Rosen College of Hospitality Management! Check out this properties features: This Second floor unit has 2 bedrooms with 2 full baths, spacious kitchen with breakfast bar, living and dinning room laminate and tiled floors throughout and screen enclosed balcony. All appliances included New Washer and Dryer, Hot Water Heater (2017). Hawthorne Village Condos RESORT STYLE Gated Community features 2 Pools, Tennis Courts, Fitness Center, Clubhouse*Adjacent to the clubhouse is a large pond with benches welcoming you to sit down and enjoy the scenery, there is a small waterway that attracts many varieties of birds and wildlife (ducks, egrets, turtles and the occasional sandhill crane), BBQ area, playground and dog park! Ideal LOCATION~ Close to Orlando International Airport, John Young Pkwy, Beach line ( 528), Banks, a short walk from OBT (Orange B. 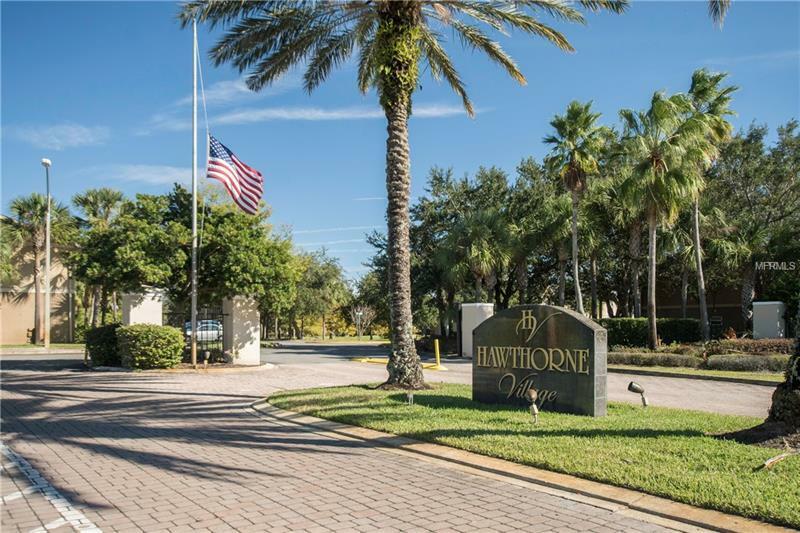 Trail) on Central Florida Av., Sea World, 15 minutes from Universal Studios, 20 Minutes from Walt Disney World, Minutes to the Great Florida Mall, Restaurants, Shopping Centers, 2 minutes from Florida Turnpike, major employers & attractions making it a highly coveted area for both investors and families alike. Move in Ready!! Schedule your appointment today!